Got featured in the Autumn edition of the magazine Métier. Boukje Mulder interviewed me on my work & what I am working on. She turned it into a great article. 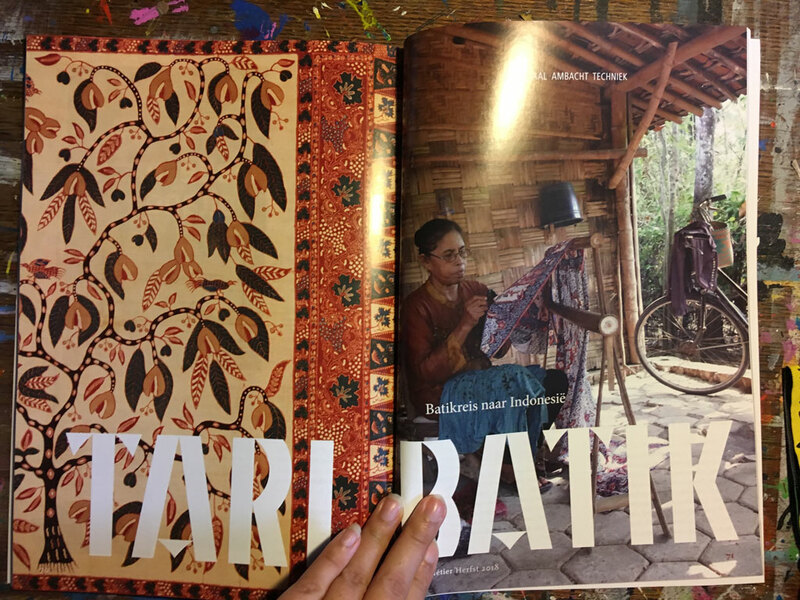 Preview of first pages of the article with Ibu Sulasmi from KUB Srikandi, Desa Jeruk making Batik & on the left page a Batik that is attributed to Carolina Jospehina von Franquemont.